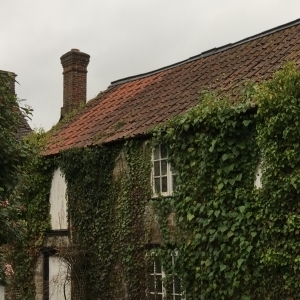 North Dorset District Council: Pure Town Planning have recently secured planning permission to convert a historic barn to a three-bedroom dwelling in Stalbridge, Dorset. The barn dates from the 1800’s and has a stone/cobble exterior under a concrete tile roof with timber fenestration and a later garage door. It was most recently used as a workshop but has been vacant for several years. The barn is located to the west of the High Street and accessed from a cobbled courtyard via Silk House Barton. The site is situated within the Stalbridge Conservation Area and the town’s settlement boundary. Prior to submission, we engaged in pre-application discussions with the North Dorset District Council who advised the principle of development was acceptable. As part of the planning application, we prepared a comprehensive supporting design, access, planning and heritage statement which demonstrated that the proposal respected the existing pattern of development and context of the surrounding area, whilst safeguarding neighbouring amenity and highway safety. Full plans were prepared by SPASE Architecture, Survey & Design. Upon consideration of the application and supporting documentation, the Case Officer agreed with our conclusions and moved to recommend planning permission be granted for the development. Due to local objection from neighbouring residents and a Ward Councillor, the application was referred to the Council’s Planning Committee for determination. As part of our comprehensive service we attended the meeting and presented a professional deputation to the Members outlining the benefits of the application. 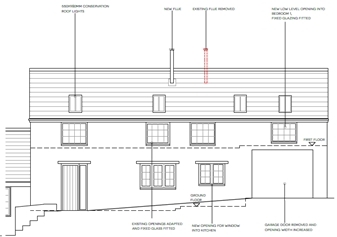 Members swiftly approved the plans and granted planning permission for the scheme. If you would like to pursue a residential development, then why not call Pure Town Planning on 01202 585524 or email info@puretownplanning.co.uk for a FREE 30 minute consultation on how we can help you.